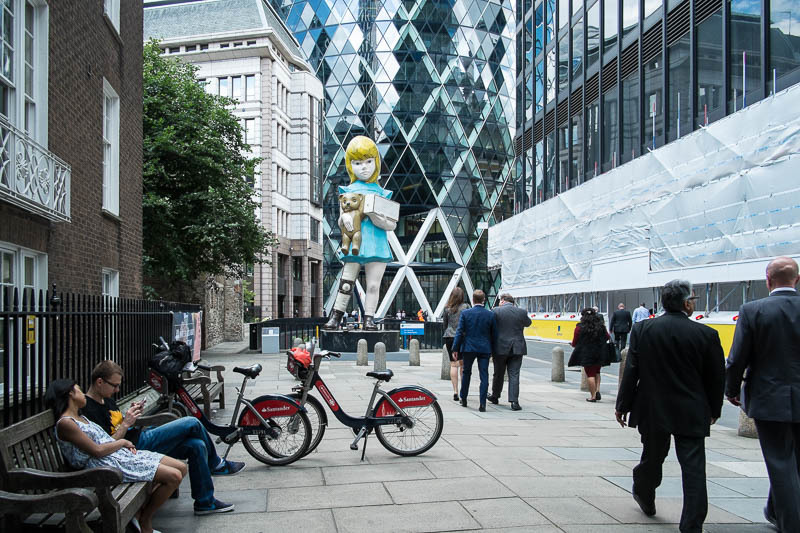 Our tour is not all buildings and construction sites, a number of sculptures by leading artists have popped up in the square mile as part of "Sculpture in the City 2015". This piece titled "Charity" is by Damien Hurst. The back of the girl has a door opened in her back showing an empty safe with a crow bar leaning up against her and a few coins lying on the ground. Is that new since I was there? Quite a large piece and it appears to be up against the Gherkin. It does seem quite big, compared to the people around it.